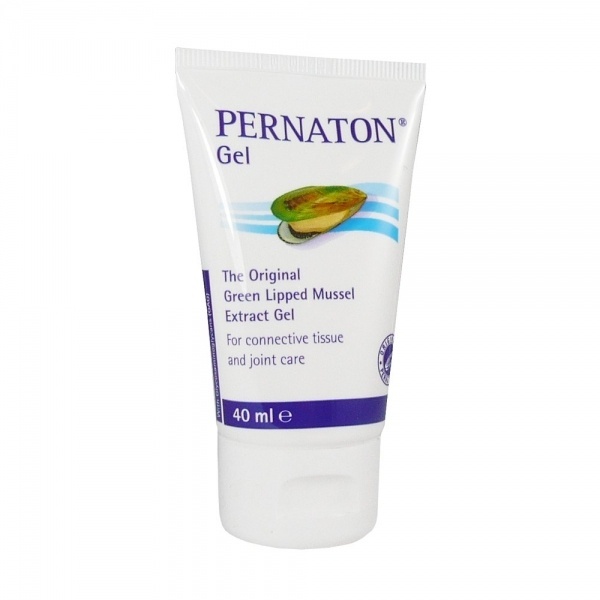 Pernaton Green Lipped Mussel gel, the natural alternative from the sea. Pernaton products contain Perna, which is extracted from the New Zealand Green Lipped Mussel by a unique process which does not use heat, chemicals or solvents, it has a naturally occurring Glucosamine called Glycosaminoglycans, which is a natural property found in the connective tissues, ligaments and joint cartilage. Scientific studies show that Glycosaminoglycans significantly improve the elasticity and firmness of the skin and make the skin feel softer, smoother and silkier. When massaging the gel into the skin it creates an instant cooling effect, followed by a warming sensation. Pernaton is manufactured in Switzerland using a special formula which also includes a natural source of unique nourishing and regenerative substances from the sea, like invigorating and refreshing Menthol to help provide pain relief, Pine Needle Oil and other essential oils are included, to increase blood circulation and relax aching muscles. Formulated to aid tissue and joint care, it can also benefit sportsmen and women when used before warming up and when cooling down after exercise. Avoid contact with eyes or broken skin. Not suitable for small children. Do not use underneath air-tight compresses.